From famous alumni and record breakers to an incredibly popular thesis, you won't believe these 15 facts are real, but trust us, they are! 1. Liverpool Hope 2. Brunel University 3. University of Glasgow 4. University of Leeds 5. University of Cambridge 6. University of Kent 7. University of Nottingham 8. University of Oxford 9. University of Manchester 10. University of Leicester 11. From famous alumni and record breakers to an incredibly popular thesis, you won't believe these 15 facts are real, but trust us, they are! Feeling inspired? 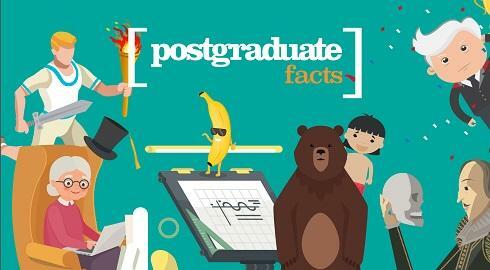 Start your search for a postgraduate course!